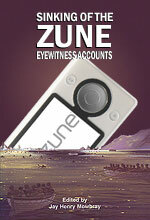 Speculation is running wild on the Web about Microsoft possibly building a content censor into the Zune software. It comes as a result of a New York Times article that looked at why NBC pulled its TV content from Apple’s iTunes store and is now distributing it for the Zune. Late Tuesday afternoon I reached J. B. Perrette, the president of digital distribution for NBC Universal, to ask why NBC found Microsoftâ€™s video store more appealing than Appleâ€™s. He explained that NBC, like most studios, would like the broadest distribution possible for its programming. But it has two disputes with Apple. First, Apple insists that all TV shows have an identical wholesale price so that it can sell all of them at $1.99. NBC wants to sell its programs for whatever price it chooses. Second, Apple refused to cooperate with NBC on building filters into its iPod player to remove pirated movies and videos. Microsoft, by contrast, will accept NBCâ€™s pricing scheme and will work with it to try to develop a copyright â€œcopâ€ to be installed on its devices. We have seen some chatter in the blogosphere over the last 24 hours around a couple of posts speculating about what Zune may or may not do in terms of putting content filtering features directly into the Zune family of devices in future releases. We have no plans or commitments to implement any new type of content filtering in the Zune devices as part of our content distribution deal with NBC. We think some folks in the industry were expressing hopes for how the entire industry, not just Microsoft, would come to look at content distribution, and some speculation has ensued. Again, no plans are in place toward this end. Menendez’s comment are unlikely to clear up the controversy. Microsoft has demonstrated that it’s more than happy to screw its customers with DRM in order to cut costs, even as it rakes up profits of 4.4 billion in a quarter. DRM is still a major stumbling block limiting the consumption of digital video. With Microsoft’s dismal record with DRM’d media, the NBC deal is doomed to failure. If NBC, and other networks, are serious about digital media, they are going to have to either figure out viable ad-supported free content models or go the way of the music industry, and sell unencrypted content that will work on any player.